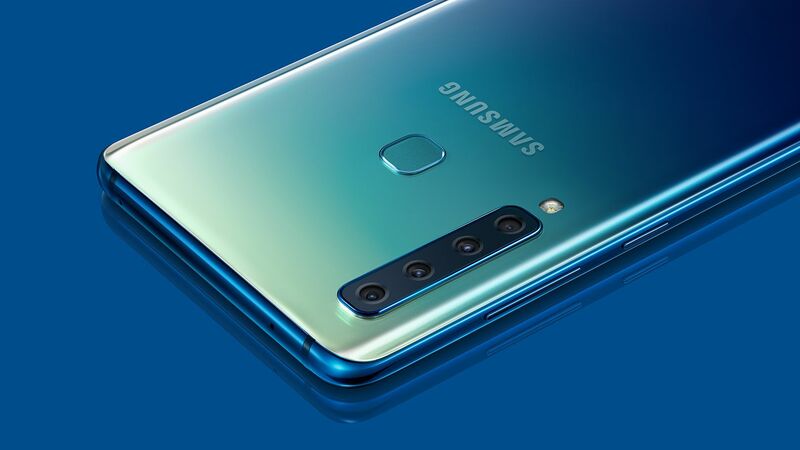 Samsung's current generation Galaxy A sub-premium phones are obviously being used a testing bed for technology that will be seen on the next-gen S10 and Note 10 flagships. According to word on the grapevine, the company will debut its in-display fingerprint sensor on the upcoming Galaxy A10. Samsung has traditionally brought its Galaxy S features to its Galaxy A lineup a year later but this generation has seen that turned on its head. The South Korean has taken to doing the exact opposite, as it’s made the Galaxy A lineup into something of a testing bed for its Galaxy S series, with Galaxy A phones being the first to showcase the company’s triple and quad rear camera setup, and even its new camera hole technology. The Galaxy A10 is expected to continue that trend, with word on the grapevine claiming that the phone could mark the debut of the in-display fingerprint sensor in Samsung’s smartphone lineup. Not much is known about the A10 but reports claim it could be powered by a Snapdragon 845. The Snapdragon 845 is effectively a last-gen SoC at this point, so it wouldn’t be out of place. The Samsung Galaxy S10—or at least a few variants of it, anyway—is set to feature an in-display fingerprint reader, and the A10 could serve as a prototype for the technology We’re not sure how practical that would be, though, especially considering new reports that the Galaxy S10 has finally entered production. In any case, in-display sensors aren’t cutting edge technology anymore, and Samsung has likely worked out all the possible kinks by now.